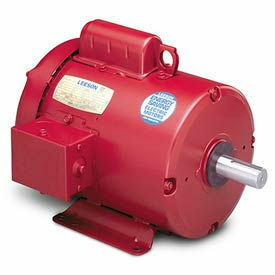 Leeson Motors - 3HP, 230V, 1740RPM, TEFC, Rigid Mount, 1.15 S.F. Leeson Motors - 5HP, 230V, TEFC, Rigid Mount, 1.15 S.F. Agricultural Motor: 2HP, 1740RPM, 182 Frame, Totally-Enclosed, Fan-Cooled (TEFC), 115/208-230V, 1PH, Continuous duty, Manual thermal protection, 1.15 Service Factor, Rigid Mount. 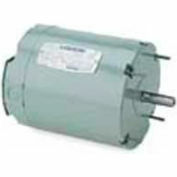 Heavy duty single phase Hi-Torque Motor is designed specifically for severe Farm duty applications. Electrical Features: Low temperature manual overload protector protects against extreme overload. Class F copper windings and varnish. 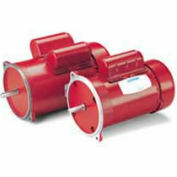 Capacitor start provides high starting torque with normal starting current.